I have never spent a night at Cafe Louvre in Vienna and never will. It is long gone, shut down by Austria's Nazi government in 1940, then destroyed by a bomb during World War II. The building housing the cafe was reconstructed after the war, and a bank took the space where Cafe Louvre had been. Today, the site is occupied by an upscale furniture store. Cafe Louvre was famous as the hangout in Vienna for foreign correspondents during most of the 1920s and all of the 1930s. When you read their memoirs, you find that it was a place where some of the city's most interesting people met and where news of the Balkans and Central Europe was written. Though Cafe Louvre no longer exists and memory of it has faded, I can imagine what it looked like in its heyday. And from accounts by the journalists who frequented the cafe during the inter-war years, I can envision what would occurred there in the evenings. In my mind, Cafe Louvre was similar to a combination of two establishments I frequented more than forty years ago: Cafe Hawelka (http://www.hawelka.at/cafe/de/), a traditional Viennese cafe located in the 1st District, near the Graben, and Gasthaus Heidenkummer (http://www.heidenkummer.at/), a neighborhood eatery in the Eighth District. 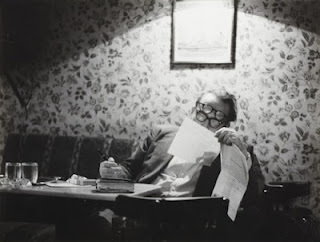 When I was a customer of Cafe Hawelka in 1967-68 and 1970-71, it was a wood-paneled, no-frills hangout for Viennese intellectuals and students. There, you would find a combination of well-dressed older gentlemen and casually dressed students sitting in booths or on rickety chairs at small, round tables, puffing on cigarettes while reading newspapers or talking. It was at this smoke-filled and crowded cafe in November 1971 that I had a potential girlfriend -- a blond beauty from Arkansas visiting Vienna -- stolen by an Austrian student who looked meaningfully into her eyes as he translated into English the final words of Mahler's Das Lied von der Erde, which she and I had just heard at the Musikverein. She was lost before the last "...ewig...ewig..."
Heidenkummer was located around the corner from where I lived on Laudongasse during the 1971-72 academic year. The Wollmann family, from whom I rented a room in their large flat, were stammkunden, long-time and frequent customers, of this modest restaurant with wooden tables, chairs, booths, and walls. It offered solid food and good portions at a reasonable cost, and it was in no way pretentious in its furnishings or decorations. I went often enough to Heidenkummer with Joerg Wollmann -- a young graphic artist who worked at home -- and his wife Mitzi -- a school teacher -- that Willi, the head water, came to sometimes acknowledge my existence, which I considered quite an accomplishment. Assuming the feel and ambiance of Cafe Louvre in the '20s and 30s resembled that of Hawelka and Heidenkummer in the late 60s and early 70s, I would expect it to be comfortable, well-kept place in which customers felt at home. The waiters would be courteous and efficient, possibly a little condescending to visitors. The chairs and booths would not be especially comfortable, and the air would be polluted with ubiquitous cigarette smoke. At this cafe, I could order not only coffee, but also beer, wine, and hard liquor. To eat, I could request a pastry such as a delicious apple strudel, or I could have soup or even a full meal. We know from Joseph Baird, a journalist who visited Cafe Louvre in the 1930s, that Cafe Louvre's head waiter was Gustav and he "could produce marvelous schnitzel for a mere two marks." Who could pass that up? Although I have found only two pictures of Cafe Louvre (one of the interior in 1896), some information exists about how it looked. Ken Cuthbertson, the biographer of journalist John Gunther, a regular guest there from 1930 to 1935, described the cafe thusly: "The interior was typical. It was spacious, with about forty marble-topped tables and violin-backed chairs in the center of the high-ceilinged room. Along one wall were booths, finished in dark brocades. Along another were a buffet of snacks and pastries and some rattan racks holding the day's newspapers...." [Cuthbertson, Inside: The Biography of John Gunther, 1992, p.108] This set-up sounds similar to the one I remember at Cafe Hawelka. Of course, what made a night at Cafe Louvre most interesting was not its decor, but the people who came there regularly. 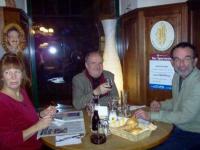 You could expect to find regulars such as Robert Best of United Press and M.W. Fodor of the Manchester Guardian there. Best was the man who discovered the charms of Cafe Louvre in 1923 and made it the hangout for international correspondents. Well liked, but considered a little odd, he presided over its activities, many of which took place at his regular table. Every day, he spent most of his time there, even using the Cafe as his mailing address. When Best was sitting in his federal prison cell after his 1948 conviction for treason during World War II, I am sure he fondly recalled his days at the coffee house. Fodor. a Hungarian by birth, became a correspondent for the Guardian in 1919, first working out of Budapest and Vienna, then Vienna alone. He covered the Balkans and Central Europe from Vienna until he had to flee on March 12, 1939, as the Germans marched into the country. 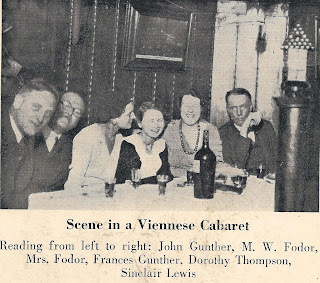 When famous authors William Shirer (Berlin Diary and Rise and Fall of the Third Reich) and John Gunther (Inside Europe) were reporting from Vienna, they were regulars at Cafe Louvre. It is thanks to Gunther that we know as much as we do about the role of Cafe Louvre in the lives of foreign journalists in Vienna during the 1930s. 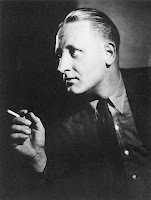 He wrote a 1935 Harper's Magazine article ("Dateline Vienna") about the daily life of a foreign journalist in Vienna, plus he described this life in detail in his fictional, but largely autobiographic novel, The Lost City. 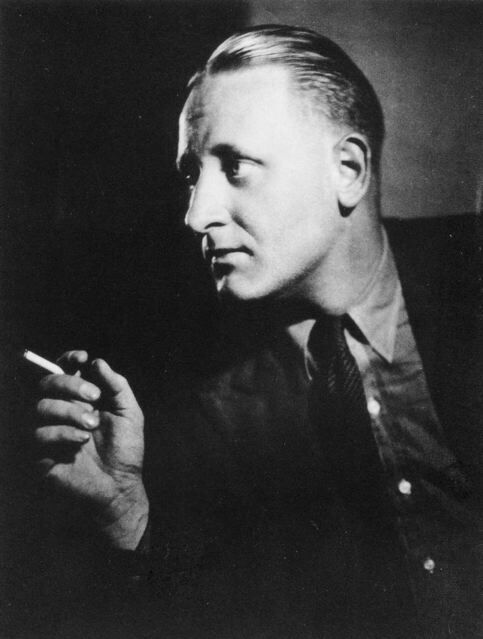 He wrote this novel in 1937, but because of his portrayal of some of his Vienna colleagues, lawyers who reviewed the book concluded that it was libelous. It was first published in 1964. The lively evening conversations at Cafe Louvre were not due only to the working journalists who came there, but also to others who worked for them as stringers or tipsters, plus a mixture of visitors that included journalists passing through town (e.g., Dorothy Thompson, Vincent Sheehan, H.R. 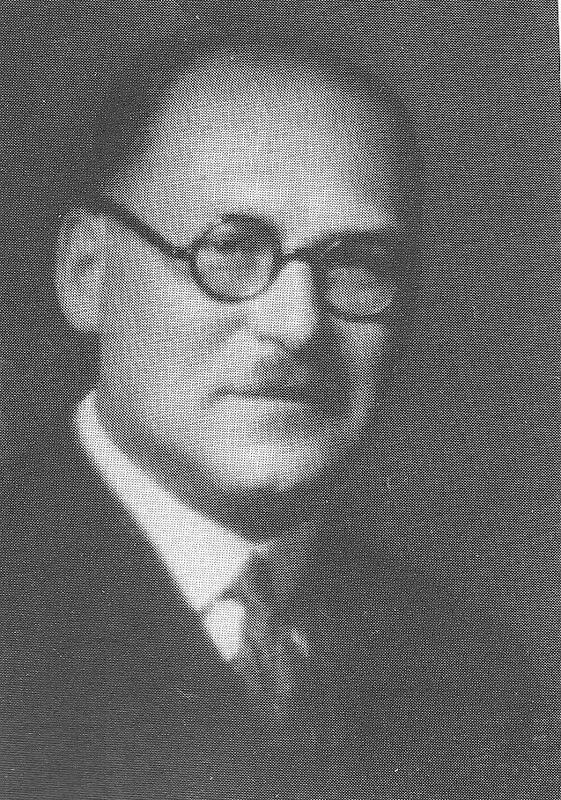 Knickerbocker, Edgar Mowrer); well-educated refugees from Central Europe and Balkan Countries who had knowledge and opinions valuable to the journalists; local artists and intellectuals; and, sometimes, spies. If I were able to choose a night to drop into the Cafe Louvre, I might pick a night in November 1928 when the folks assembled at Best's Stammtisch included 23-year old J.W. Fulbright, who was spending some months in Vienna after completing his studies at Oxford. Or it might be an evening in January 1934 when young Kim Philby showed up to join the regulars at Best's table. Philby had recently finished his studies at Cambridge and had signed on to work for Comintern (the Communist International); his job as a courier in Vienna was his first assignment as a spy for the Soviet Union. Of course, he later attained a high-level position in British Intelligence while continuing to spy for the USSR. 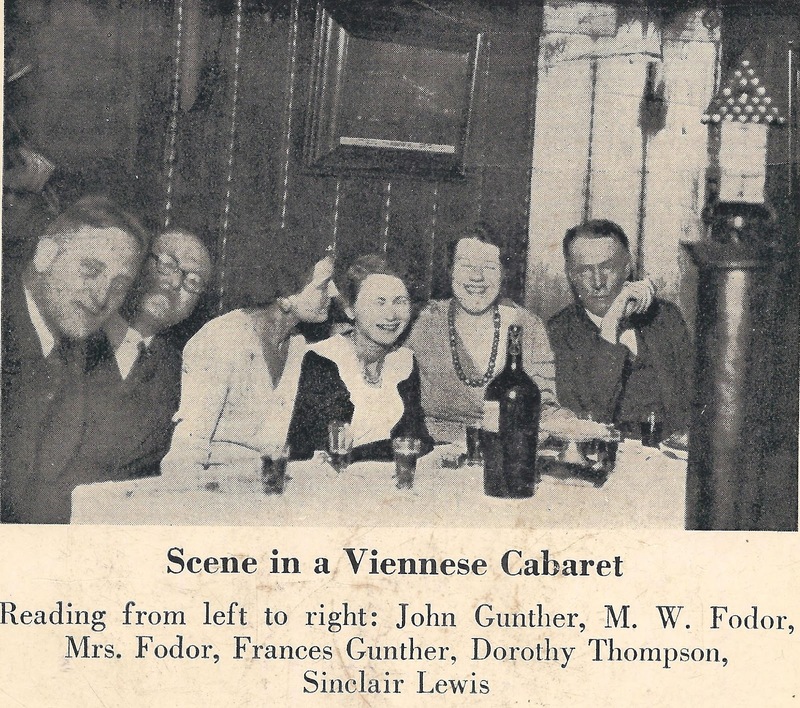 Another possibility would be to visit Cafe Louvre on an evening in 1930 when Shirer and Gunther were both journalists in Vienna. Perhaps I could pick a night when Dorothy Thompson and her husband Sinclair Lewis were in town. With those folks sitting at the table, joining Fodor, Best, and the other regulars, I am sure the conversation that evening would fill the head. Sitting at Best's table at the Cafe Louvre on any of these three nights, or, I would guess, on most any other night, would make for a great night in Vienna. Really enjoyed this post Dan, you should think of submitting it to a historical journal! I am researching the press photography of Red Vienna and have just found your article 'Vienna's Cafe Louvre in the 1920s & 1930s'. This has been an amazing source to my topic. Do you know anything about how the journalists sourced their photographs or who their photographers were? It would be great to hear from you. My email is e.branscome@ucl.ac.uk. Thank you for your comment. Your research sounds both very interesting and a real challenge. I have replied to you by e-mail, but the short answer is that, unfortunately, I have not found any references in the materials that I have read to photographers who worked with American or British foreign correspondents in Vienna in the 1920s and 1930s. I will keep your research in mind as I do some more work on M.W. Fodor and Dorothy Thompson in coming weeks and will let you know if I stumble across anything relevant to your topic.